Some say dog is man's best friend, some say ice cream is. Welcome to California, the golden state. Where the air is polluted and there is an In ‘N Out every few blocks. There are some really great attributes to California…If Katy Perry can sing a song about our girls then you know it’s true. I can’t speak for Northern California (because I don’t live there) but SoCal is definitely where the sun likes to hang out. With temperatures in the 80s as the norm, heat is kind of like another emotion to us locals (no really, anything below 70 degrees and we feel like we’re in the arctic). Luckily, there are many scrumptious ice cream shops throughout the Golden State that always satisfy us on those beating hot days. To start off our list, behold The Bigg Chill. Although this shop serves frozen yogurt, it is still among one of the most popular shops located in Los Angeles. With rotating flavors every Monday, Wednesday, and Friday, The Bigg Chill offers you tasty and healthy frozen yogurt to cool you down. I guess the shop really does live up to its name. After’s Ice Cream has grown in popularity significantly over the past several years. And once you taste their signature milky bun, it isn’t hard to understand why. Cool ice cream in between two warm donuts tastes amazing at any time of day. 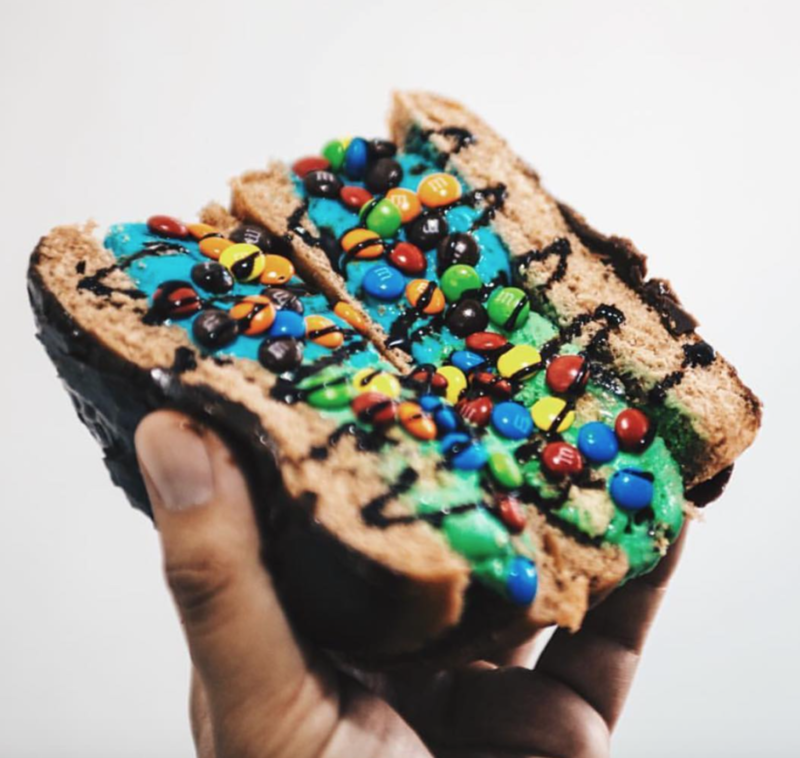 With busy locations in the Orange County, Pasadena, and Cerritos, you can see why they are among one of the most unique and beloved desserts in California. 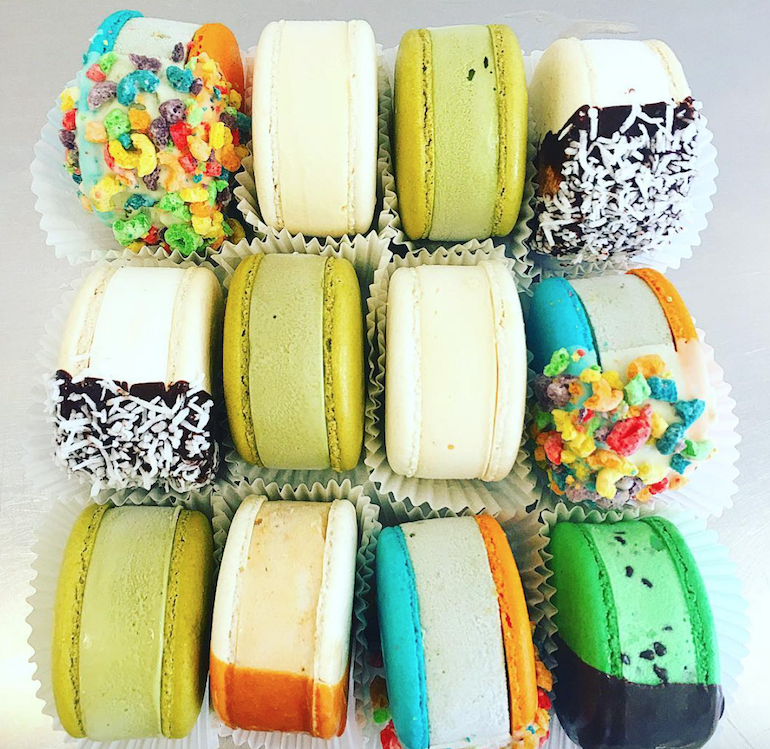 Known for their scrumptious macaron ice cream sandwiches in Beverly Hills and Los Angeles, Milk (also known as The Milk Shop) is definitely near the top of the list for prettiest desserts. Their portion is also a pretty good size, so the amount of ice cream you get to eat in this is worth all the calories gained. If avocado toast is a thing, does that mean avocado ice cream is okay? Salt and Straw sure thinks so, with their classic avocado and strawberry sherbet. Started in Portland, the franchise has successfully opened many branches in the Los Angeles area. They even have a club that ships you ice cream in a cooler every month for a fee, if you’re into that kind of thing. 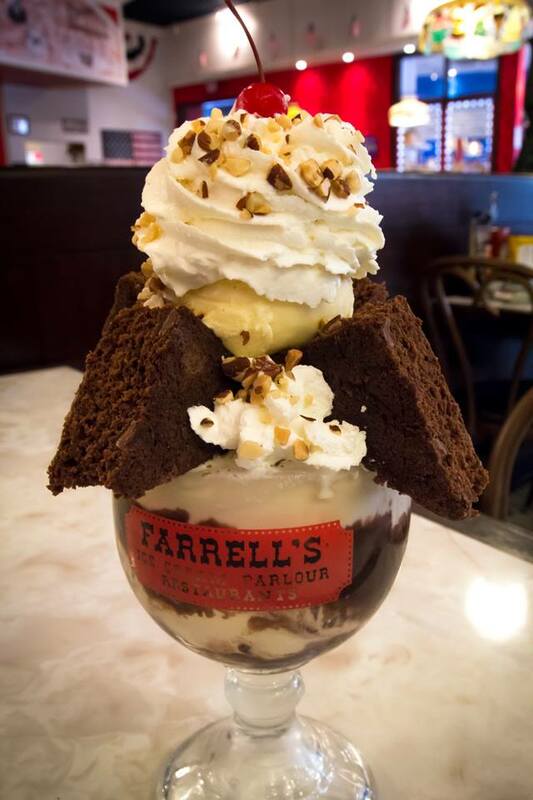 Doubling as a restaurant, Farrell’s Ice Cream Parlour will take you back in time without actually leaving the 21st century. With locations scattered throughout California, the franchise is well-known for their assortment of monstrous sundaes. Founded in Santa Barbara, McConnell’s has expanded to Downtown Los Angeles and the San Fernando Valley with unique flavors like churros con leche and boysenberry rose milk jam. Their line is always long but it isn’t hard to detect why once you try how fresh their ice cream tastes. 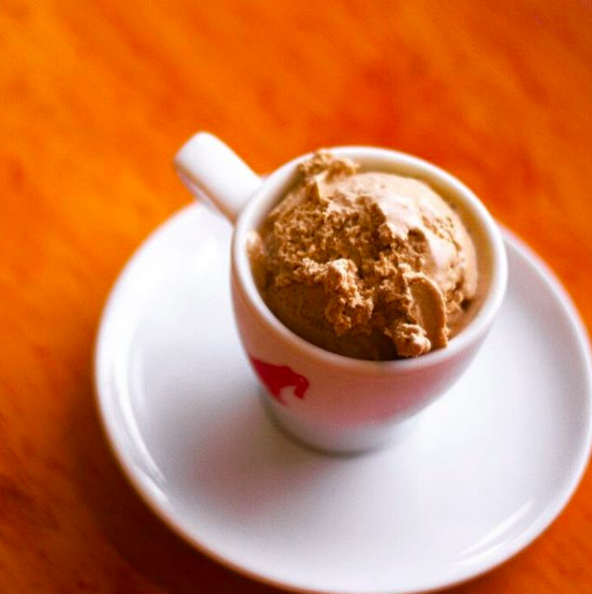 Located in Los Feliz, Churro Borough is one of many LA ice cream shops with unique flavors; theirs include some like spicy hot chocolate, Spanish latte, and horchata sherbet. 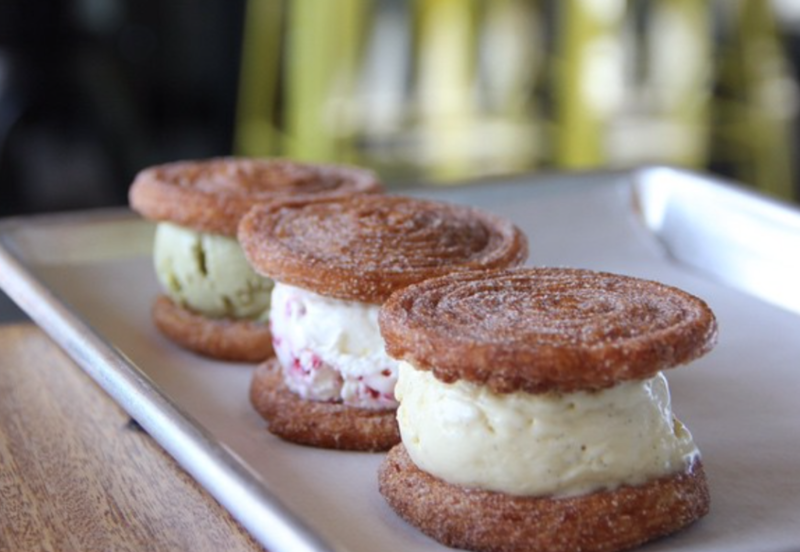 Their signature item is a churro ice cream sandwich tossed in their original spiced sugar. If you decide to visit, you better hurry because their sugar is limited and guaranteed to run out if you’re not early enough. The cool thing about Coolhaus (haha, see what I did there?) is that it isn’t necessarily a shop, but a truck located in Culver City. 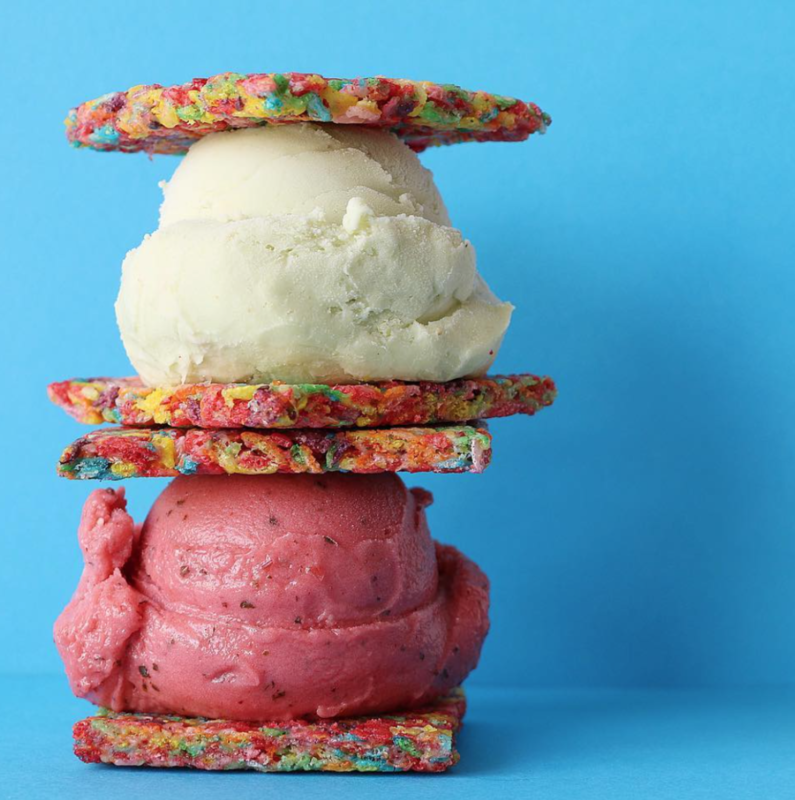 Stating to be “architecturally-inspired ice cream,” Coolhaus offers you “Netflix” ice cream for your Netflix and chill nights. They also make ice cream pies for which you get to pick your favorite ice cream filling and cookie crust. The best thing? They hosted a PokemonGo meet up so you could try your luck at catching a Pikachu while munching on their sweet stuff. Located near LACMA, Mashti Malone’s ice cream is definitely an acquired taste. With one of a kind flavors like rose water saffron, this ice cream shop definitely isn’t for just anyone. However, they have gotten really great reviews on Yelp, so you know the hype is real. Jeni’s is located in Los Feliz and their goal is simple: to make tomorrow’s ice cream better than today. They literally have everything, and I mean it. From ice cream, buttermilk froyo, sorbets, sundaes, you name it. 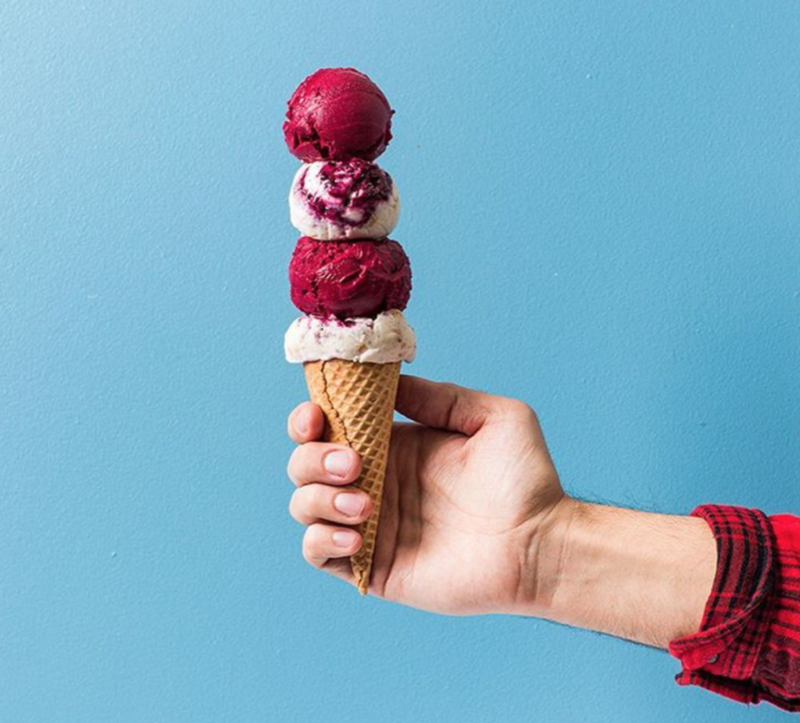 Jeni’s does not use synthetic flavorings or dyes, making their ice cream taste even more fresh. 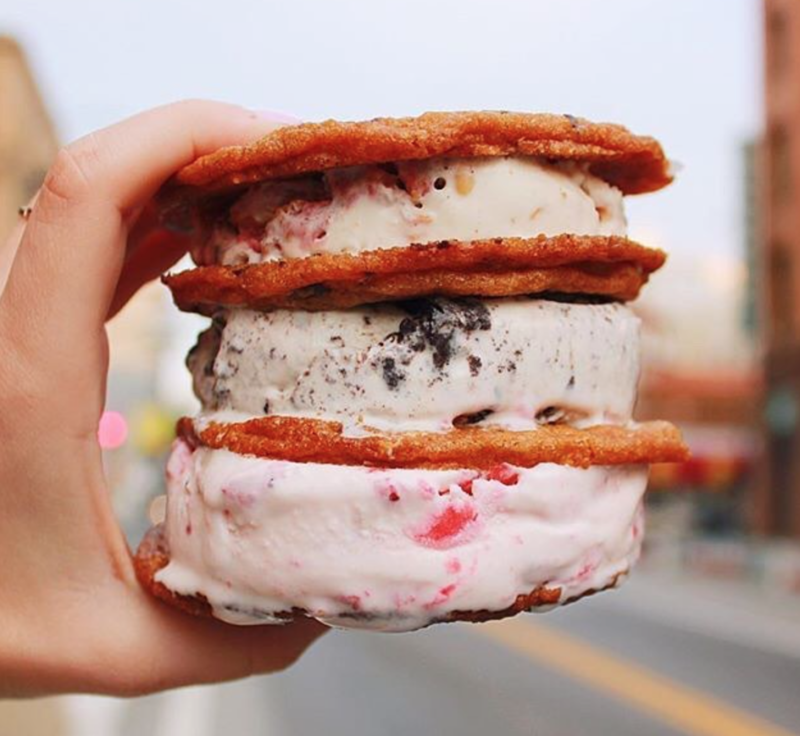 Definitely visit this ice cream shop to try one of their many new flavors like sweet cream biscuits and peach jam. 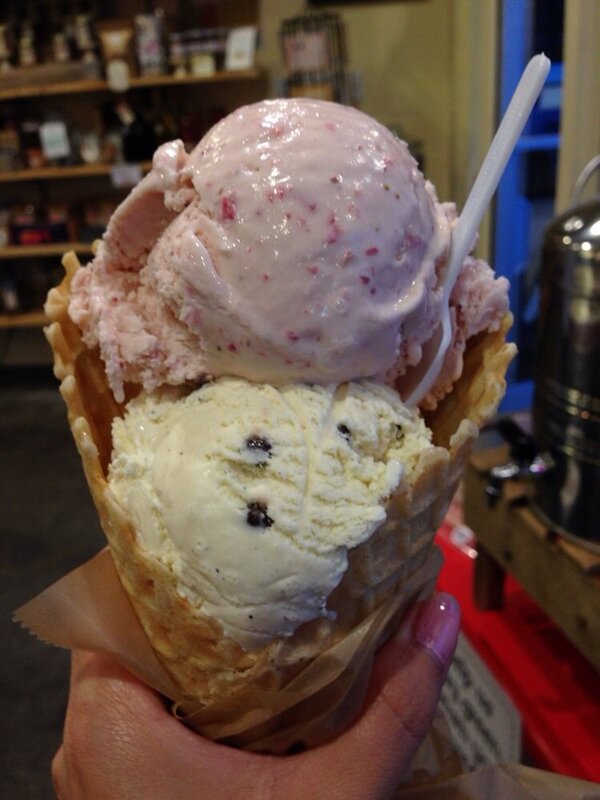 Mother Moo Creamery is a shop in Sierra Madre that makes a fresh batch of ice cream daily. 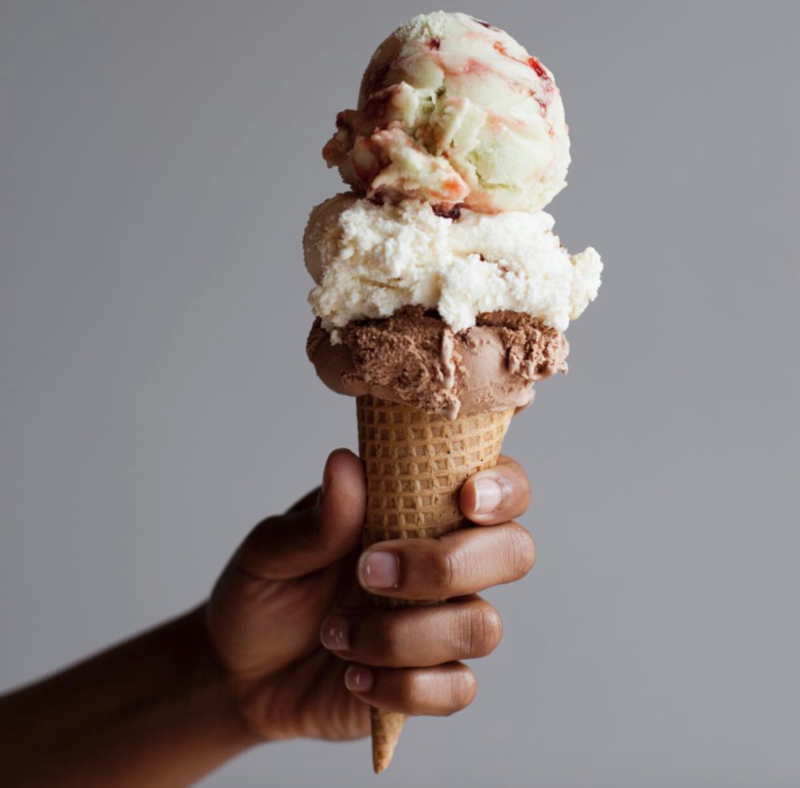 Using organic dairy and fruity flavors from fresh produce from local farms, this ice cream shop supports sustainable practices while still tasting great. They are also known for their Root Beer Floats and ice cream cakes. You should definitely try this shop’s exclusive ice cream when you are in a good moo-d (haha, see what I did there?). 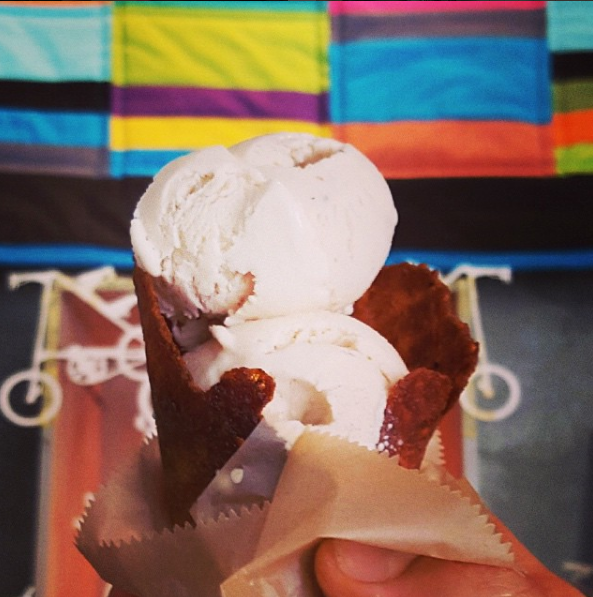 Peddler’s Creamery in Los Angeles really understands giving back, by donating 5% of profits to social and environmental causes. This shop produces ice cream and frozen yogurt that was churned by a bicycle initially, how cool right? Another shop that uses organic ingredients, Peddler’s Creamery is known for their Famous Waffle Nacho Sundae. They even have a club where you can reserve a spot to peddle for about fifteen minutes to churn one batch of ice cream and get one scoop for contributing. Arcata Scoop, located in (surprise!) Arcata, is yet another ice cream shop that uses organic ingredients. They change their flavors every day so you can try five different flavors in one sitting if you’d like. Also, their homemade waffle cones are to die for. 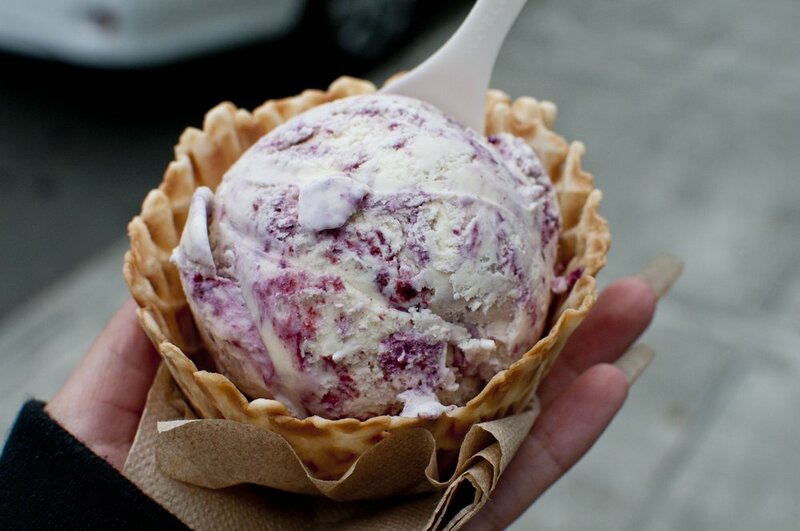 I don’t know about you, but eating ice cream in cold weather is one of my hobbies. With the chilly weather in San Francisco, visiting The Ice Cream Bar is an absolute must. Doubling as a restaurant, their butterscotch flavor is probably their most popular. 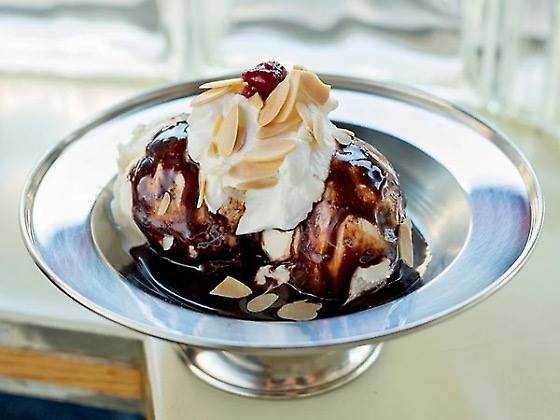 Everybody tries to beat the rush just to try that and their famous hot fudge sundae. 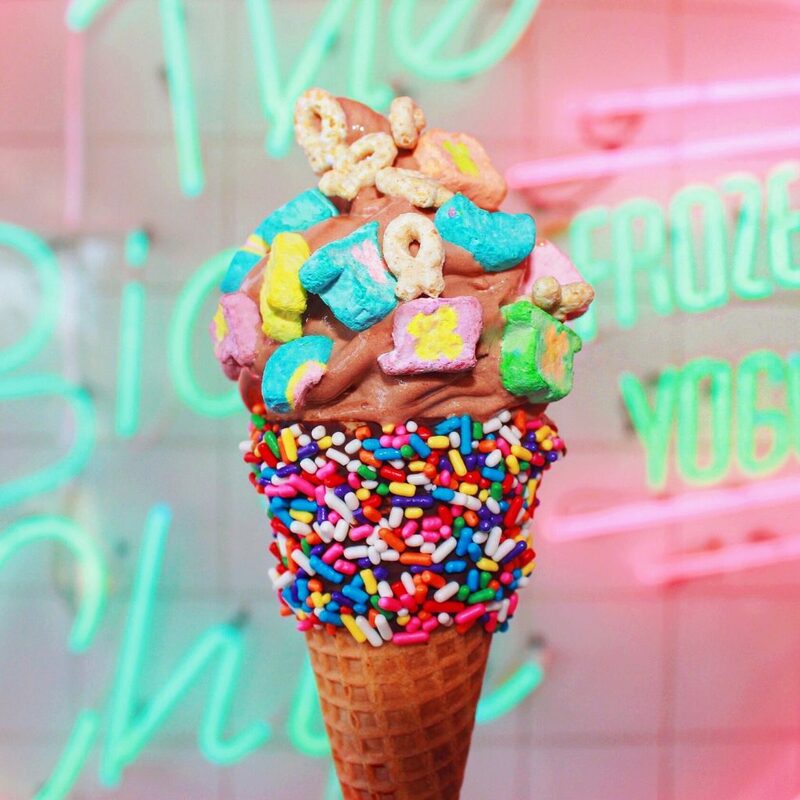 The places listed here are just a few among a sea of many great ice cream shops located throughout the great state of California. If you ever visit, or live here, you should definitely check each and every one out to see if the hype is real or not for yourself. After all, ice cream is practically a food group for those living under the California sun.